WC CH Callaway's Local News- 2007 KSF WC Fine Harness 3 Year Old Mare . 2007 Kentucky Fall Classic UPHA Fine Harness Reserve Champion. 2007 American Royal UPHA Fine Harness Finals Reserve Champion. 2008 Asheville Lions Fine Harness Junior Reserve Champion. 2009 Blue Ridge Classic 5 Gaited Novice Reserve Champion. 2010 KSF WC Open Park Mare. 2010 River Ridge Open Park Champion. 2010 Bone County Fair (MO) Open Park Champion. 2010 St. Louis Park Reserve Grand Champion. 2010 UPHA National Reserve Grand Champion Park Horse. 2011 Bluefield Park Grand Champion. 2011 Raleigh Spring Park Amateur Grand Champion. 2011 Roanoke Valley Park Amateur Grand Champion. 2012 Bonnie Blue- Park Amateur Champion. 2012 Roanoke Valley- Park Amateur Grand Champion. 2012 Blue Ridge Classic- Park Amateur Grand Champion. 2012 ASHAV Park Grand Champion. Callaway's Belle Decaramac- 1997 Missouri State Fair Park Grand Champion. 2000 Nebraska Charity Country Jr. Ex. Champion. 2005 Calvary Episcopal Country Novice Rider Champion. Callaway's First Snow- 2001 Blue Ridge Classic 5 Gaited Pleasure 18-35 Grand Champion. 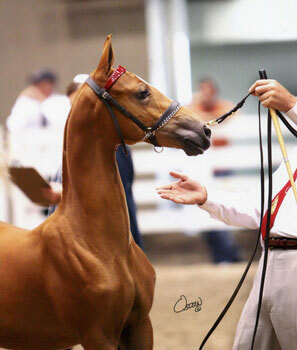 2003 Mid-America Spring Show Pleasure Novice Rider Champion. 2004 Oshkosh Show Pleasure Novice Rider Champion. 2007 Iowa Fall Show Pleasure Jr. Ex. Grand Champion. 2008 Iowa Fall Classic Show Pleasure Jr. Ex. 13 7 Under Champion. 2009 Iowa Summer Spectacular 3 Gaited Show Pleasure Jr. Ex. Reserve Grand Champion. 2009 Iowa Fall Classic 3 Gaited Show Pleasure Jr. Ex. Grand Champion. 2010 Iowa Summer Spectatular Open English Pleasure Jr. Ex. Champion. 2010 Summerfest Open English Pleasure Jr. Ex. 14-17 Champion. Western Cabernet- 2003 Rivere Ridge 5 Gaited Junior Horse Reserve Champion. 2004 River Ridge 5 Gaited Mare Champion. Kalarama's Shooting Star- 2007 SASHA Charity 5 Gaited Amateur Reserve Champion. 2007 Big D 5 Gaited Pleasure Limit Ridger Champion. 2008 TASHA Winter Classic Park Pleasure Champion. NTASHA Fall Pleasure Driving Grand Champion. 2009 TASHA Winter Classic Show Pleasure Driving Reserve Champion. 2009 TASHA Holiday Park Amateur Grand Champion. 2010 TASHA Winter Classic Park Amateur Grand Champion. 2010 TASHA Winter Classic Amateur Park Pleasure Grand Champion. Kalarama's Gold Star- 2005 J D Massey UPHA Fine Harness Champion. 2005 Asheville Lions 3 Year Old Fine Harness Champion. 2005 N C State Championship Fine Harness Junior Horse Champion. RWC Magic Moonrise (8 SR Points)- 1992 Dayton Park Championship. 1994 Dayton Fine Harness Grand Champion. 1995 Lexington Fine harness Ladies Champion. 1995 American Royal Fine Harness Champion. Harlem's Magic Circle (7 SR Points) - 1992 Kentucky Fall Classic UPHA 5 Gaited Champion. 1993 Rock Creek 5 Gaited Junior Grand Champion. 2000 ASHAV Show Pleasure Adult Grand Champion. WC CH Harlem's Half Moon - 1992 KSF WC 2 Year Old Fine Harness Horse. 2000 KSF WC 5 Gaited Adult 36 & Over. 2003 KSF WC 3 Gaited Jr. Ex. 14-17. 2004 KSF WC 3 Gaited Jr. Ex. 14-17. Anntana- 1989 Colorado Classic 3 Gaited Amateur Grand Champion. 1990 Boone County Fair 3 Gaited Jr. Ex. Champion. Meadowlark Lemon- 1990 Mercer County 5 Gaited Novice Champion. 1991 Youngstown Charity 5 Gaited Amateur Champion. 1991 Ohio State Fair 5 Gaited Amateur Reserve Grand Champion. Manhattan Command- 1988 Syracuse ASGN Yearling Reserve Champion. 1989 Eastern States 2 Year Old In Hand Champion. 1990 Eastern States 5 Gaited 3 Year Old Champion. 1990 Penn National 5 Gaited 3 Year Old Champion. 1991 UPHA Spring Premier 5 Gaited Junior Champion. 1995 River Ridge 5 Gaited Stallion.Gelding Reserve Champion. 1996 River Ridge Park Pleasure Reserve Champion. 1997 Dayton Park Pleasure Champion and Reserve Grand Champion. Revelation's Daryl Eden- 2002 Penn National Country Pleasure Driving Grand Champion. 2003 Children's Benefit Country Pleasure Driving Champion. 2003 Penn National Country Pleasure Driving Grand Champion. 2004 Children's Benefit Country Driving Grand Champion. 2005 3 Gaited Country Pleasure Adult Champion. 2009 Spring Into Summer 3 Gaited Country Champion. 2009 Syracuse Int. Country Western Pleasure Jr. Ex. Champion. Revelation's Glory- 2000 Penn National UPHA Fine Harness champion. 2001 Devon Junior Fine Harness Champion. 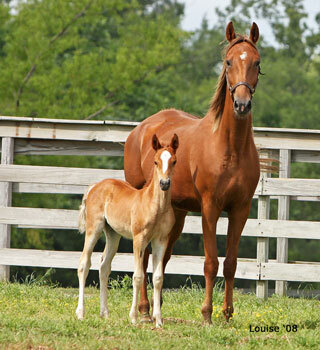 2001 Lexington Fine Harness Mare Champion. 2003 Wisconsin Futuirty Champion. 2004 Oshkosh Fine Harness Reserve Grand Champion. 2005 Oshkosh 3 Gaited Champion. Chocolate Moon- 1987 KSF Yearling Breeder's Stake Top Three. 1988 St. Lewis Newmarket 5 Gaited Top Three. Worthy Endeavor- 1989 Blowing Rock Show Pleasure Novice Rider Champion. Harlem's Moonstruck- 2005 River Ridge Show Pleasure Novice Rider Champion. 2007 Dixie Cup Park Pleasure Jr. Ex. Reserve Grand Champion. 2008 Mid-Summer Classic Park Amateur Reserve Grand Champion. 2009 Dixie Cup Park Pleasure Amateur/Jr. Ex. Reserve Champion. Mid-Summer Classic 3 Gaited Show Pleasure Adult Reserve Grand Champion. WC CH Gone Platinum- 2004 RWC KSF Fine Harness Stallion Gelding. 2005 WCC KSF Fine Harness Amateur. 2006 WCC KSF Fine Harness Amateur . 2006 KSF WC Ladies Fine Harness. 2010 Missouri State Fair Fine Harness Grand Champion. Supreme Platinum (14 SR Points)- 2003 Syracuse Fine Harness 2 Year Old Champion. 2006 Indy Charity Pleasure Driving Grand Champion. 2006 Lexington Pleasure Driving Grand Champion. 2009 Indy Charity Country Driving Grand Champion. 2009 ASAW Summerfun Country Driving Grand Champion. Harlem's Lunar Eclipse- 2007 Mercer County Fine Harness 3 Year Old Champion. 2009 Shelby County Fair Park Pleasure Champion. 2009 TSASA Octoberfest Park Pleasure Prospect Junior Reserve Grand Champion. 2010 Twin State Octoberfest Park Jr. Ex. Champion. RWC Platinum Moon- 2008 KSF Fine harness 2 Year Old Reserve Champion. 2010 Devon Fine Harness Grand Champion. 2010 J D Massey Fine Harness Grand Champion. A Blessing- 1998 Blue Ridge Classic Fine Harness 2 Year Old Champion. Paprika HS- 1986 Alamo Charity Show Pleasure Adult Champion. 1993 SASHA Country Driving Grand Champion. 1993 Arkansas Charity Country Hunt Champion, Country Driving Champion and SB Hunt Classic Champion. Another Jama Party- 2008 Missouri Futurity 2 Year Old Fine Harness and In Hand Champion. 2008 American Royal 2 Year Old Fine Harness Champion. 2009 Longview Charity Model Champion. 2009 Missouri State Fair UPHA Fine Harness Reserve Champion. Spool's Top Star RHF (12 SR Points)- 2005 River Ridge 3 Gaited Jr. Ex. Reserve Grand Champion. 2005 Roanoke Valley 3 Gaited Jr. Ex. Grand Champion. 2007 Roanoke Valley 3 gaited Amateur Grand Champion. 2009 Raleigh Spring 3 Gaited Amateur Champion. 2009 ETSA Mid-Summer Classic 3 Gaited Amateur Grand Champion. 2009 NC State Fair 3 Gaited Amateur Grand Champion.